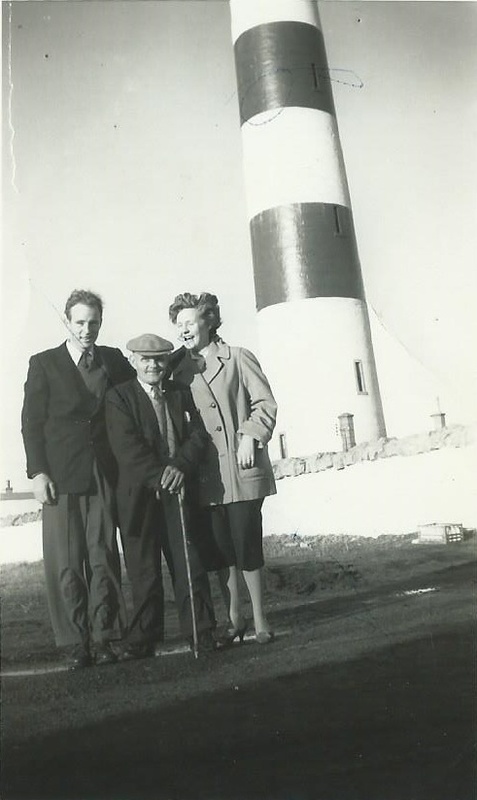 Bill Hogg and his new wife Evelyn Foster, on their honeymoon in 1959, return to Saltburn and meet up with his uncle Dan (Donald Hogg). Danny was deaf and used to visit my grandfather Tom MacKenzie at his shoemakers shop in Saltburn. My grandfather (he is in picture #1316 on site) was fluent in the use of finger spelling and signing so they were able to talk together. My mother, Sybil MacKenzie, spoke about learning to finger spell with her father and Danny. I too remember Danny when a child going back and fore to Saltburn School in the late 1950s.